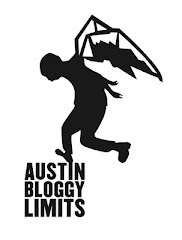 AustinBloggyLimits - An Austin Music Blog: Kendrick Lamar at Beauty Ballroom TONIGHT! I included it in my ticket round-up post at the beginning of the month but January 20th really snuck-up on me. I didn't realize that tonight was the night to catch Kendrick Lamar at the brand-new Beauty Ballroom over on East Riverside. Kendrick's 2011 album, Section.80 was released digitally and made a lot of year-end lists in December. Hailing from Compton, Lamar is carrying on a tradition of great hip-hop and at a concert last August Dr. Dre, Snoop Dogg, and Game pronounced him the new prince of west coast hip-hop. If you didn't catch Kendrick Lamar's album last year you can check it out on Spotify. He can also be heard guesting on Drake's latest LP, Take Care on the, "Buried Alive Interlude." It's not too late to get tickets to tonight's show at the Beauty Ballroom they'll be waiting for you at will-call. Apparently Kendrick Lamar is a huge fan of 2Pac and usually dedicates at least 10 minutes of every show to him and his music so, if you head out to tonight's show you can expect to hear that. Also, look for Kendrick's studio LP, Good Kid in a Mad City at some point this year.